Today I'll be sharing with you all my current favorite lip products which I am absolutely loving these days and always carry couple of these in my hang bag. Recently I was tagged by Ritu and Sheetal to share the top 5 favorite lip products so here I am with my top 5! 1) Loreal Color Riche Nutri Shine Lipstick in the shade Rose Guava - Gorgeous pink with tiny silver shimmers gives a glossy finish on lips! The texture of the lipstick is very creamy and looks flattering on all skin tones! 3) Revlon Lip Stain in the shade Darling - Darling is a gorgeous blue based pinky purple and looks very flattering on my warm skin tone! It brighten's up the face instantly..absolutely love it! 4) Lakme Absolute Matte Lipstick in Peach Carnation - This is my to go lipstick for office. The shade is peach with strong brown undertones and is perfect for office wear. Its creamy and extremely light weight on lips and has amazing staying power! 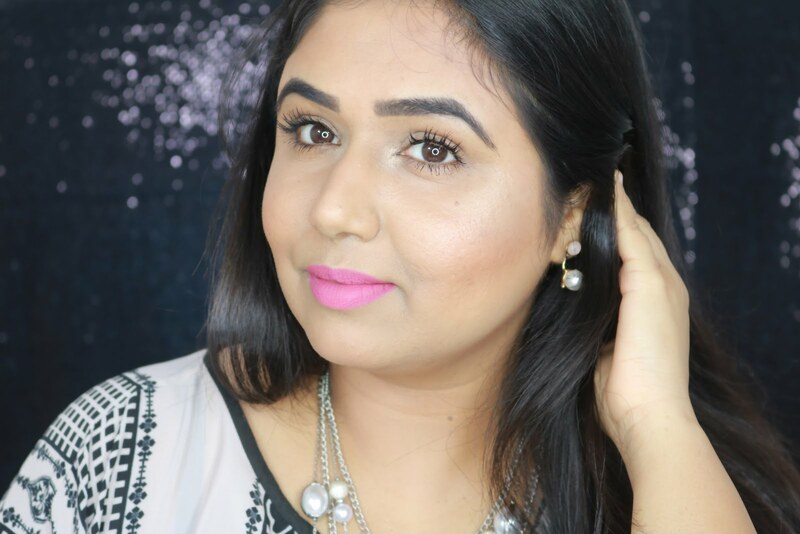 It gives polished matte look and I find it very flattering on our indian skin tones! 5) Revlon Lip Butter in Berry Smoothie - Berry Smoothie as the name suggested is gorgeous berry shade with strong pink undertones, it glides on lips and is super buttery and creamy! I find these highly moisturizing and always keep it in my bag. So these are my current top 5 favorite lip products which I have been using a lot..hope you liked them as well. Honey is one of my fav too this month..i have 6 shades from nutri shine range but never tried rose guava..it looks really pretty!! Great Picks! I am loving Revlon Honey Douce as well. I really like this Lakme Absolute matte lipstick in Pink Cocoa. I have searched high and low for some reviews on it but haven't found one so far! Have you tried it? Loreal Rose Guava looks gorgeous, I haven't seen this shade in the US, do you know if the shade name is different here? Revlon lip butters are my all time favorite! I haven't given in to the Revlon balm stain hype yet. Hey Kirstie..sorry for the delay in reply..no idea about US...i thought they should have been available there..might be they are not discontinued since the lip balm and caresse came out?